Hello friends, family, strangers and accidental tourists! 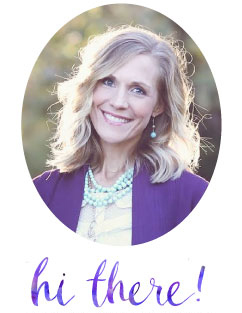 If you are visiting our new website as a former reader of All Things Bright and Beautiful, I am so happy that you have decided to jump over to Sole Searching with us! 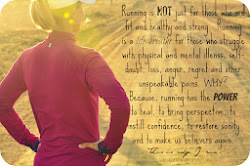 It's NOT about RUNNING! (Okay, maybe it's a little bit about running). Sorry to disappoint any running devotees who might be visiting. It's about the FRUITS that I personally experience from running - greater perspective on life, gratitude for all of my blessings, and fresh ideas and inspirations related to all things that come with being a wife, mother, teacher and daughter of a Loving Father. "One Shaved Leg" ~ With five boys to take care of, the five minute shower might be a bit of a luxury! It's not uncommon for me to step out of the shower with one shaved leg, and out of the house with one mascara-lashed eye. Our look may be a little unpolished, but our life is beautiful! "I Think the Stork is Stalking Me" ~ Dedicated to all of the thoughtless individuals who can't find a more creative way to express their sarcasm regarding our family size. We hope that our new website will continue to give you all of our family stories you so kindly keep up with, and also a few more tidbits on topics that may be of interest to you. Those topics are visible in the tabs (which I didn't have on A.T.B.B. ): Homeschooling, Oh Boy, Faith, Health and Fitness. The Home page will be a buffet of randomness - everything from recipes, fashion and products I love to the latest happenings here on our farm. (It's my little whimsy tab.) I've given each of these a little more detail on the "About" page. Finally, if you check out the right sidebar, that's where I'll be updating things like the books our family is reading, other blogs/websites that I'm keeping my eye on, and new music that I occasionally add to my running playlists. How can you stay connected to Sole Searching?? 1. Become a follower! Add your name to the "Followers" section on the right side bar. 2. Become a fan of Sole Searching on Facebook! 3. Subscribe to updates via e-mail (also on the right sidebar). I truly appreciate your comments and suggestions, and hope that you'll hang in there with me as I navigate this new level of blogging! I won't be writing a column for each tab everyday, so if the "Home" page doesn't change, it doesn't mean that the other tabs haven't been updated! Thanks to Ami Price at Price Photography for jazzing up the header photo for me!